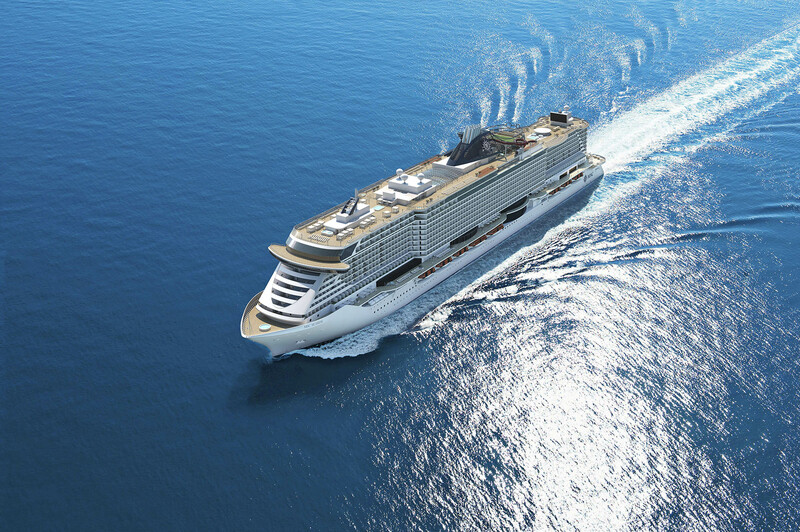 Geneva, Switzerland – 4 July 2016 –MSC Cruises - the Swiss-based world’s largest privately-owned cruise line and brand market leader in Europe, South America and South Africa - announced today that the second of its Seaside-generation smart ships, set to come into service in June 2018, will be named MSC Seaview. She will spend her inaugural season in the Western Mediterranean, home-porting in history- and culture-rich Genoa, Marseille and Barcelona. Sales for ship open today for MSC Voyagers Club members, as an exclusive benefit of the programme that rewards loyal MSC Cruises guests, on July 18 for all other guests. MSC Cruises’ Seaside-generation ships are being built by Italy-based FINCANTIERI, one of the largest shipbuilding groups in the world. These new ships combine FINCANTIERI’s shipbuilding tradition, expertise, Italian flair and excellence in design with the industry-leading innovation and global vision of MSC Cruises. 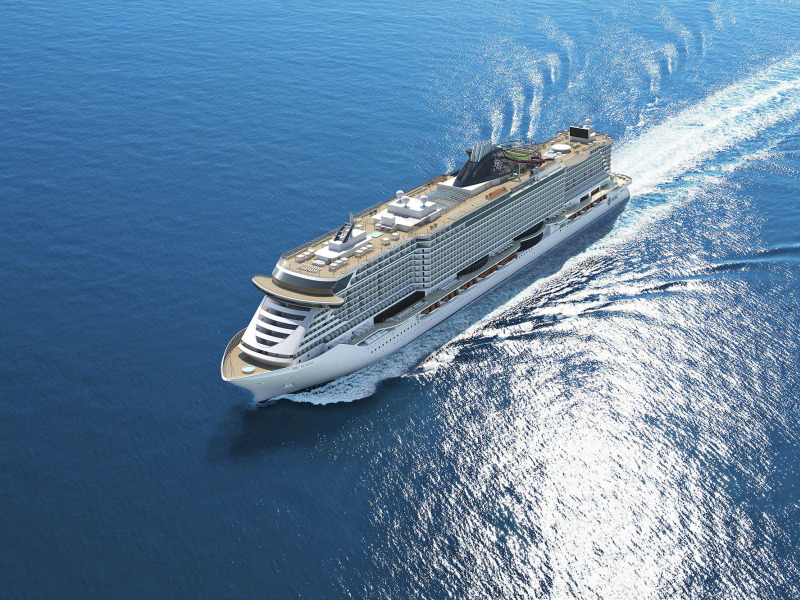 Known as the “ship that follows the sun”, the design of Seaside-generation ships embodies the MSC Cruises’ passion for the sea and features, amongst other, the highest ratio of outdoor space per guest at sea. Inspired by a pioneering beach condo concept, MSC Seaview will bring guests and the sea closer, with special design elements that allow to make the most of the warmer weather. For example, guests will be able to enjoy their time on-board eating, drinking and relaxing outdoors in the Mediterranean sunshine with some of the best sea views in the world. They will also benefit from an increased number of balcony cabins, sea views and public areas, with every element carefully planned to allow guests to make the most of the sea and the sunshine. A unique design feature of MSC Seaview is the impressive 360° promenade with glass balustrades that runs around the entire ship. This stunning public space will act as a lively recreation area where guests can stroll in the open air, eat and drink al fresco from a variety of bars and restaurants or shop in the boutiques, all the while providing spectacular sea views as far as the eye can see. An MSC Cruises holiday is the perfect way to discover different cultures, beauties and tastes. MSC Seaview guests will be able to experience the wonders of the Mediterranean in true MSC Cruises style, as in addition to Genoa, Marseille and Barcelona, she will also call at other much sought after Mediterranean destinations including Naples, Messina in Sicily and Malta, with a wide range of shore activities carefully designed to help them discover to the fullest each destination and its unique culture. Near Field Communication (NFC), using a cruise card, bracelet or smartphone for a range of different options including geo-location of children, cabin access and on-board payment. Interactive screens to make it simplest to select excursions as well as booking shows and restaurants. iBeacon technology that is customised to each guests’ specific preferences so that they will never miss their favourite experiences, will communicate with mobile devices and send push notifications about relevant information and offers, customised to each guest’s preference. As with all MSC Cruises holidays, guests can expect a cruise on-board MSC Seaview to be distinguished by modern and comfortable accommodations, always fresh and authentic food, award-winning entertainment, plenty of relaxation as well as, at the other end, a full program of activities specially designed for families and their children across all age groups, impeccable service as well as some of the best, most varied on shore excursions programs in the industry. More details of MSC Seaview’s specific new and exciting features will be revealed over time in the coming months. MSC Seaview will commence her maiden voyage from Genova, Italy on June 10, 2018.